Home / Braces and Straighteners / Veneers vs Braces: Which is Best for You? Did you know that over 4 million Americans wear braces? There’s a good reason why braces are one of the most popular dental procedures. When you have a straight, radiant smile, you feel your best. If you’re hesitant about getting braces, you do have other options. Keep reading to learn about veneers vs. braces and which option is best for your smile. 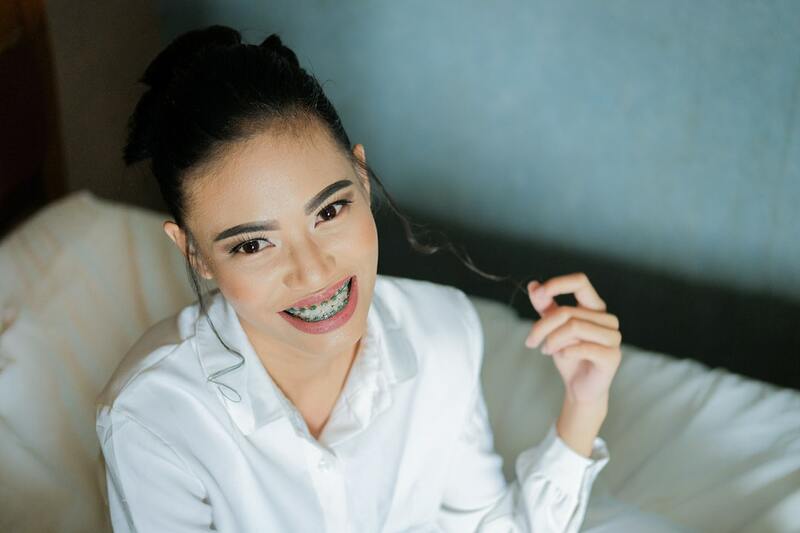 If you want to know how to fix crooked teeth best, it’s important to learn the basic pros and cons of veneers and braces. If you’re unfamiliar with veneers, this procedure involves covering the tooth with a porcelain mold of an ideal tooth. They look realistic and it’s a simple way to fix any smile. Another benefit of veneers is that you can choose how many teeth you want to be covered. Braces are ideal for patients who only have problems with the alignment of their teeth. Braces slowly change the positioning of each tooth until the whole mouth is in a proper position. What Would I Look Like with Braces? Braces are common among teenagers, which is why many adults may feel self-conscious about getting them. The good news is that more people of all ages are taking the steps to achieve their dream smile. If you don’t feel confident sporting standard braces, technology has made it possible to wear invisible braces that aren’t obvious when you smile. The downsides to wearing braces are the upkeep and time it takes to align the teeth. If you’re looking for a quick fix or something that’s easy to maintain, braces may not be for you. Although braces aren’t cheap, veneers can be a more costly procedure since each veneer is handmade for your mouth. The benefit of veneers is that you can get a perfect smile in one day. Once veneers are inserted in your mouth, all your troubles are gone. You don’t have to do any extra work to maintain them outside of your regular brushing routine. Veneers are best for people who have several different issues with their teeth. Misaligned teeth, discolored teeth, and misshaped teeth can all get corrected easily with a veneer. One major downside to veneers is that they are not a permanent solution. Although you can get lasting results, you should expect to need replacements after ten years. If you’re wondering about veneers vs. crowns, crowns are used more often to treat cavities whereas veneers are more cosmetic. Crowns and veneers can both help protect teeth from tooth decay, but veneers are better to use on teeth that are more visible when you smile. Want to Discuss Your Options with a Dentist? Every smile is different, which is why there’s no clear winner of the veneers vs. braces debate. Speaking to a dentist who understands your needs is the best way to achieve your perfect smile. If you’re looking for the best dentist in the Chattanooga, TN area, look no further than Shallowford Family Dental Group. Our team can revolutionize your smile and make you feel at home in our office.